It is tempting for optometrists to acquire advanced diagnostic instruments and include the tests as part of their routine exam. This helps us to do what all business try to do: provide a better level of service and give your practice a competitive advantage. It would work very well if you could just raise your exam fee slightly and then everyone would benefit from receiving the special test at a very small cost. Some practices still function with this model, but with vision plans controlling a large and growing segment of routine vision care, raising the exam fee to cover the cost of a new procedure does not work. The more common approach is to offer the special screening test as an optional upgrade to the exam for an additional fee that is not covered by insurance. Each patient decides to opt in or not. We all might prefer to just do the tests that we think are needed for the best eye care and not have to ask the patient if they want to opt for high-tech testing and pay extra (effectively like asking if they want fries with that). Since vision plans have not increased fees very often over the past few decades and many have changed their policies to actually pay less, doctors and patients have come to accept that vision plans cover very basic vision care only. If patients want more technology than just a basic vision wellness check-up, they must pay an additional out-of-pocket fee. This approach actually works pretty well; I use it in my practice as do many optometrists. By far the most commonly used screening test is some form of retinal photo or Optomap. Some may ask, is it really necessary to have an image of normal, healthy tissue? Well, it may not be necessary, but I believe it is certainly helpful in many respects. After all, a retinal photo is easy and inexpensive to acquire and our standards of what is expected are changing with advancements in technology. We now have office management software that takes a thumbnail photo of the patient for the record. Looking at a large image of the retina does not replace examining it in the live state (at least not yet), but it certainly makes the exam and the recording easier. And it makes detecting subtle changes over time easier too. There are many other tests that could be offered for an extra fee depending on your clinical interests and specialty. Macular pigment optical density (MPOD) testing as part of a risk analysis for macular degeneration is growing in popularity. Some OCTs have screening modes that collect baseline data about the nerve fiber layer and macula integrity. 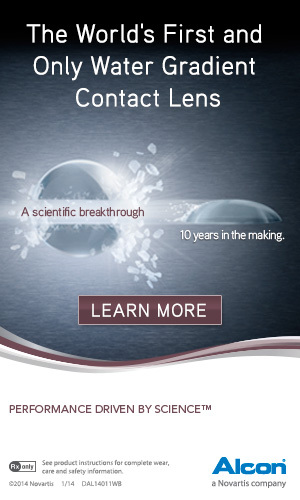 Practices that do a lot of contact lens work may offer or require corneal topography or specular microscopy on a yearly basis. An interesting question is how many optional tests are too many? Obviously, asking patients to decide about the tests they need could become annoying and put the practice image in a bad light if taken to extreme. Intuitively, I thought one screening test was all we should offer, but we added MPOD and it was very well received. How do you offer it? I have experimented with different methods and different personnel who explain and offer the optional screening tests. Some practices prefer to have the clinical technician present the test and the benefits, but ironically, I found a higher opt-in percentage when my receptionists offer the test at check in, using a brief patient education handout. The handout has a place for patients to indicate yes or no with their initials. We put the form on a clipboard that has a retinal photo laminated on it so patients can refer to it, which helps patients to understand. I prefer a non-confrontational approach to theses optional tests; my staff does not try to change the patient’s mind if he wants to pass. Again, I think it is smart to experiment with different prices for screening tests while watching the opt-in percentage. Also, consider if the practice obtains additional benefits beyond the financial aspect if more patients choose the test. The revenue would be the same if 40% of patients accept the test at $38 as if 80% of patients say yes to the test at $19. There indeed may be a price point where a high number of patients say yes and above that point acceptance drops off quickly.